It is located near the Monfrague National Park, a true paradise for birdwatching. The land arround Navalmoral de la Mata is known as Campo Arañuelo, a place with beautiful landscapes of meadows, plains and pine forests. The Valdecañas reservoir has created a natural environment ideal for native birds and is a crossing point for migratory birds. Navalmoral de la Mata is a modern town and it is very well communicated, so it is a good place for using as base for visiting the north of Extremadura. 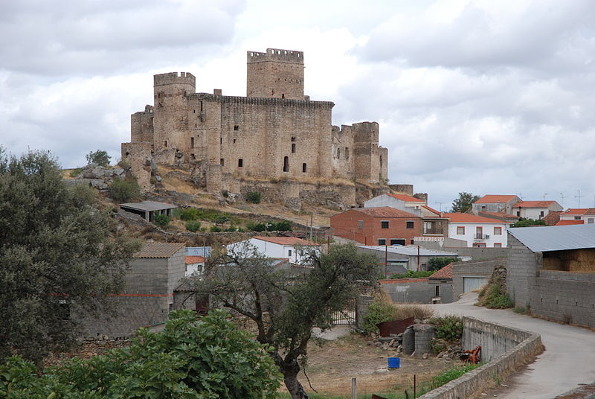 The Castle of Belvis de Monroy is very known because its beauty and majesty. As in every zone of Extremadura, there are many feast and cultural events in Campo Arañuelo. Navalmoral Carnival is very famous and a lot of people goes to Navalmoral to celebrate the groups parade and other activities.